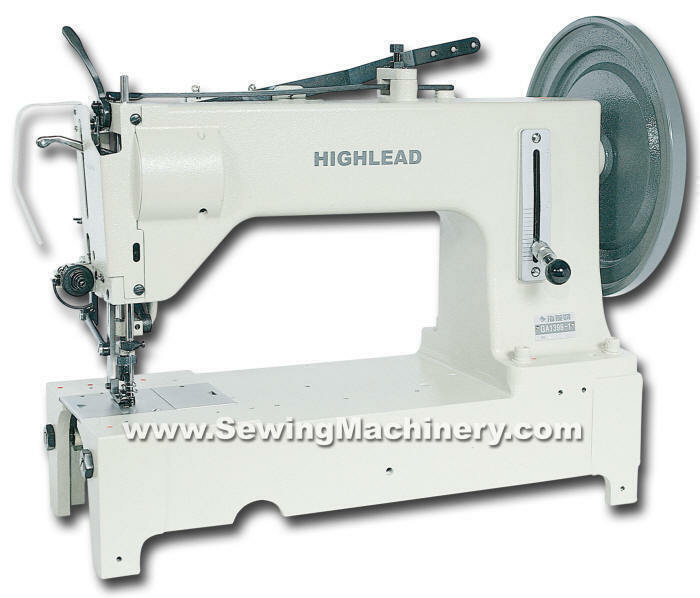 This Highlead GA1398-1-NPAA is an uprated version of the GA1398-1 model and is one of the most heavy duty industrial sewing machines in production today. The NPAA specification features a high torque full sized 1HP electronic needle positioning motor, air assisted reverse device, air operated automatic foot lifter, Knuckle quick reverse system and electronic stitch count box with slow speed inching control. 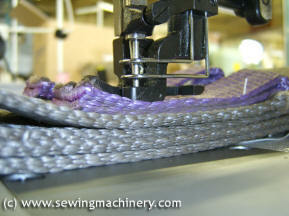 These extra operator aids combine to offer a much more controllable and less fatiguing super heavy duty industrial sewing machine. It features an extended long + high arm working area, extra large shuttle hook, powerful bottom/walking foot top feed system plus an extra large foot lift clearance. 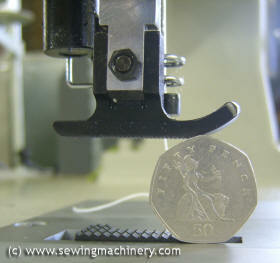 A stitch length of up-to 15mm is possible (which in sewing machine terms, is big) and the machine has a reverse stitch lever as standard. The presser foot has an ultra high lift of up to 32mm, allowing for a large range of extra heavy weight material or bulky items to be used. The walking foot action is driven and combines with the powerful bottom feed to produce a positive feeding motion for extra heavy use. 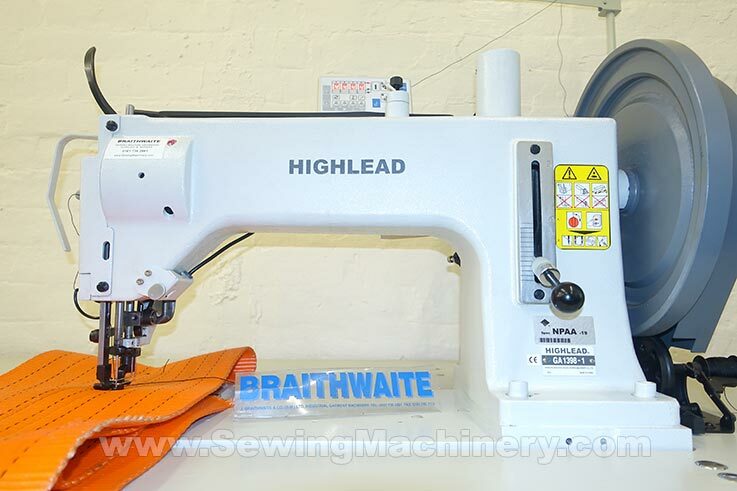 The sewing machine head has a larger long arm internal working area of 413mm, to the right of needle, & higher under arm clearance.